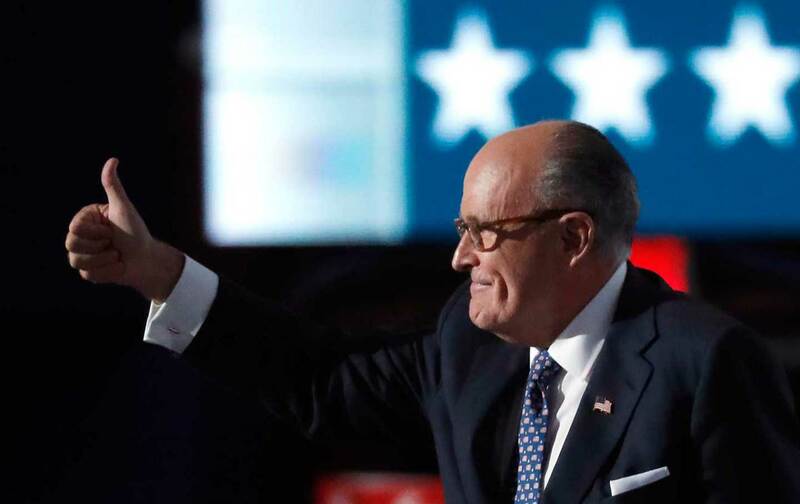 When Giuliani says that Trump will do for America what he did for New York City, we should shudder at the prospect. Ironically, according to Giuliani’s vision, it is local police who are responsible for keeping us safe, so any feelings to the contrary should represent a failure on their part. Something that Giuliani carefully overlooked. In reality, crime is at record lows, and local police have very little to do with it. Decades of research has yet to show any clear correlation, much less causal connection between different police tactics and substantial or sustained changes in crime rates. These kinds of facts have been of no concern, however, to Giuliani or Trump in this season of “know-nothing” jingoism, xenophobia, and racism. Pre-convention front-man Congressman Steve King made clear the racist orientation of Trump’s GOP. He came right out on MSNBC and claimed that everything worthwhile in the world is the result of European Christians. Giuliani attempted a somewhat more nuanced racism by both mobilizing fear of the other through the motifs of crime and “extremist Islamic terrorism” and attempting to hark back to a post-racial fantasy of “One America” that erases hundreds of years of intensive racial exploitation and oppression. He then tried, as others have, to claim that it is the attempt to reverse this historical injustice that is the cause of America’s growing insecurity. Clarke, Giuliani, and the Trump machine believe that demands for racial justice or even basic accountability for the police will unleash the forces of chaos that will bring down Western civilization—a goal Mahatma Gandhi, at least, considered worth pursuing. The politics of white supremacy rests on the ability of elites to mobilize working class white resentment against the racial other. The key to this mobilization is to turn fear of economic and physical insecurity into a hatred of the racialized other. Giuliani mastered this process during his years in New York City. His politics of “quality of life” served the same purpose. By defining the city’s problems as ones of crime and disorder rather than mass homelessness, economic and racial inequality, and a crumbling safety net, he opened the door to middle-class resentment of the poor nonwhite other that they associated with the city’s overall decline. Once he had succeeded in blaming the homeless, mentally disabled, and crack addicted for the city’s degraded condition, it was easy to redefine the solution to all the city’s problems as one of ever more intensive and invasive policing under the rubric of the deeply conservative “broken windows” theory. When Giuliani says that Trump will do for America what he did for New York City, we should shudder at the prospect. What Giuliani means by this is a continuation of the politics of austerity, ever increasing inequality, and a more intensive police apparatus to manage the consequences. The one positive note about the day one speeches is the extent to which they lacked any real aspirational framework. Nixon, in 1968 understood that fearmongering and race baiting by itself was insufficient to win over more educated and better-off whites. Therefore, he also put forward a positive vision of an America. Nixon celebrated an ideal that we are all in this together, claiming that American workers want a society in which everyone has a real shot at success: “Like Theodore Roosevelt, they know that this country will not be a good place for any of us to live in unless it is a good place for all of us to live in.” Trump’s law-and-order cronies lacked that vision, relying instead on a drumbeat of creating ever more men with guns fighting to keep us safe from the enemies that they themselves have helped to create.